One More Move: What will you let go? Just like in the Free Your Team article we must free ourselves from the burdens that hold us back from success. What can you think of in your personal, spiritual, business or community life that you wish would just go away. With our current times of ever more visible violence, deception, and distrust we need to constantly feed on positive sensations to manage the stress of simply being in the 21st century. Now that millennials have emerged in the workforce and are slowly becoming parents, the same old song and dance starts to wear thin on our history’s books. That goes for our personal lives as well. I confess this is the seventh blog I’ve started. It has taken that many tries to fully commit to the idea that I am meant to write for the rest of my life. My true passion is to write. Like a lifelong love that is always nagging at my spirit. How do you envision your passions? We can discuss below. So here we are, where we will claim our authentic success together. In order to hold on to these values, ethics, and beliefs that build our leadership we have to make space by letting go. This means dropping safety nets and, as Daymond John would say, taking affordable steps. At heart, this is the philosophy of One More Move. Taking conscious time to connect with our inner compass and ensure we find happiness with the decisions we take. 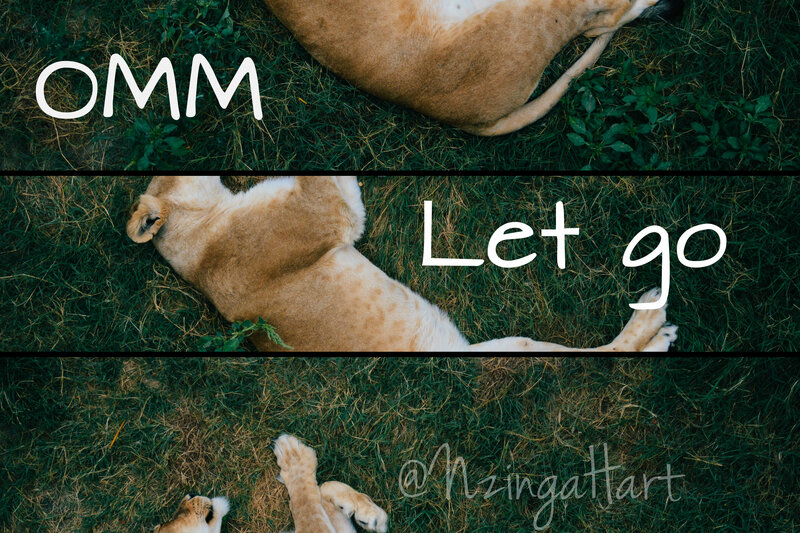 So here’s a tiny way to practice letting go. Find a junk drawer or go through your closet. Completely clean it out and only keep what you need. Get rid of at minimum 75% of what you have. You can give it away, sell it, or have it recycled. Use Craigslist, Facebook, or even your local post office for distribution. When your done admire the clarity you created in the space. Letting go allows us to have space to accept things we truly want in our lives. Release wisely. That’s it for this Monday! I hope you all have a great night.